On your website advertising this product, you have this image: Are we to believe that these results were achieved just by adding Gumout Multi-System Tune-Up to the oil? If so, what dose and treatment cycle do you recommend? 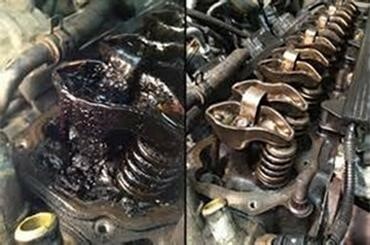 This image on our web page was referencing our high mileage oil treatment (which is being phased out) not our multi-system tune up; however, MSTU does provide cleaning of the crankcase, but not at the level of our high mileage oil treatment. MSTU does stabilize oil as an added benefit though. 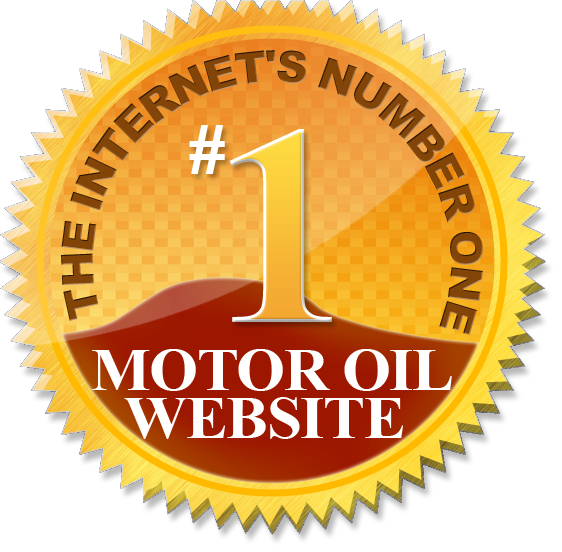 The dose rate for the crankcase is one ounce of MSTU per quart of oil. Recommended use is whenever you are changing your oil. Your product contains isopropyl alcohol. Since E10 already contains 10% alcohol, what would justify adding even more? Most but not all gasoline is E10. Also, MSTU may be used in diesel or other fuels containing no alcohol where it will scavenge water. The product is designed to be used in many different systems under many different conditions. In addition, the alcohol improves product shelf life over a wide temperature range. In the past, I’ve used “Kreen” engine treatment to help clean up any unseen gums, varnish and build up under the valve covers. The oil came out filthy after those treatments with a smooth running engine. Now, I just use modern motor oils, (conventional or synthetic), run at a normal interval, to keep things maintained during my OCI. Clearance oils are my choice. For the past several years, I use tcw-3, mixed 50/50 with Chevron Techron FSC or Sea Foam, as an additive to my fill up. The dose is 1.25 ounces of TCW-3 to each gallon of gasoline, with 3 ounces of Chevron or Sea Foam added to the TCW-3 as a carrier, in order to keep the fuel pump and upper cylinder’s lubed. IMO…ethanol is hygroscopic and attracts moisture while the low dose of TCW-3 offsets the harmful effects of moisture entering the fuel. Engines run smooth and the TCW-3 is ashless and burns off clean in the cylinder. Works for me and it’s relatively inexpensive. This isn’t a question. I recommend MSTU for these applications. It will help keep everything clean and if used regularly will reduce the build-up of gum and varnish that results from oxidized fuel and lubricant so the engine keeps running smoothly. How does the Gumout compare to Redline SL1 for fuel system cleaning ? Will your product clean & remove carbon deposits better than Redline? We have not tested Redline SL1 side by side against MSTU, so I cannot say whether it is better at fuel system deposits. However, I recommend Gumout All-in-One as a very strong complete fuel system cleaner with a lubricant that reduces internal engine friction for less wasted energy. This means better fuel economy or more power. Does This product clean injectors better than gumout all in one? Which is your best product for off season storage/fuel stabilization/minimize varnishing in small carburetor passages? All in one has a higher dose of PEA (polyetheramine); however, MSTU will still clean all of the key fuel system parts and stabilize fuel & oil, help stop corrosion, and will also clean the crankcase. It would definitely be your best option for off season storage. We have separate products to fit the specific needs of each consumer and also to fit their budget, so if we were to put a higher dose of PEA into MSTU to match All in One, the retail price would become a bit too high for most customers’ comfort zones. On the 24 hour corrosion test why do 2 of the pictures of the metal rod look the same and 2 are different colors? Why not use the same color metal rod for the test? Also you have a million dollar company why are the picture so BLURRY? I can take 100% more clear pictures using my toaster, or cell phone. The metal rods are made of the exact same metal to meet ASTM standards and are the exact same color when seen in person. These pictures were taken by scientists evaluating corrosion at our research lab. The original purpose was to record the amount of pitting on the surface and the scientists were not careful with the lighting to have consistent color. The original pictures did have higher resolution and showed the surface damage more clearly. I’m running PennzoilUltraPlatinum0w20 and a synthetic oil filter along with a Greddy drain plug, top tier 87 octane ethanol-free, and occasionally adding a small amount of Gumout All in One to my tank. Is there anything else I can do to keep my internals cleaner or is my methods enough? What’s the improvement over Gumout All in One as it runs the best in my application and appears to have the best additives in its package. Throttle plate has been cleaned regularly and a nano dry air filter is used also. Thanks!! When you reference a small amount of All in One, I would assume that to mean you aren’t using the whole bottle. The gas tank treat size is 35 gallons so that may be larger than what you have so it is perfectly fine to use less; but use at least one ounce for 5-6 gallons. Other than that, it sounds like you are doing a great job of maintaining your fuel system. If you want to clean your crankcase in addition to your fuel system, I’d recommend our multi-system tune up which will clean up the crankcase and stabilize the oil as well. What if I want to add a small amount of one of your products each time I add gasoline to my tank for maintenance purposes? Is Gumout Multi Sysytem Tune Up appropriate for this? If so, how much should be added? I want to do this in a direct injected gasoline engine to keep the injectors and combustion chamber as clean as possible. When you reference a small amount of one of our products, I would assume that to mean you aren’t using the whole bottle/can. Our products vary on how much product to use based on the size of your tank. For optimal cleaning of direct injectors and combustion chamber I would recommend using an entire bottle of Gumout All in One which has a high dose of PEA (polyetheramine) which does a great job of cleaning of these parts. For GDI valve cleaning I would recommend our Regane direct injection intake vale and port cleaner spray. This is introduced to the fuel system via the air intake/throttle body since traditional pour in additives do not reach these parts as the injector is no longer located next to them and is located in the combustion chamber. Can it be used in a carb’d motorcycle? Can it be used in a wet clutch motorcyles oil? Yes, use MSTU in a carbureted motor cycle at about one ounce per gallon of gasoline. Always treat the fuel to prevent gum and varnish formation. Then, whenever the motorcycle is not run for a time it will maintain fresh fuel and be much easier to start. We recommend against adding to oil used with a wet clutch because it may reduce friction to where the clutch begins to slip. Does it have the most pea compared to other products like techron? What percentage of the product is PEA? We do not share the exact amounts of PEA in our products, as that is proprietary. Will I achieve better results from Gumout Multi-System Tune-Up vs Chevron Techron or ACDelco Fuel System cleaner? Will the Gumout product reduce carbon around the rings of my LS engine which can cause startup noise in the morning? We do not share the exact amounts of PEA in our products, as that is proprietary, but look at the amount of gallons treated vs Techron or AC Delco and form your own opinion. or better yet try it out for yourself. Currently our highest PEA dosage will be found in All-in-One Complete Fuel System Cleaner. Gumout MSTU will reduce the carbon in the combustion chamber and should help in the area around the top ring. For even stronger carbon removal, use Gumout All-in-One. You can add Regane at any time, but the product mixes best with the gasoline if it is poured in prior to a fill up of a nearly empty tank. This allows the product to be optimally distributed into the gasoline which allows the entire tank to be treated equally. While the fuel can be treated anytime without concern, if the engine is particularly dirty or the rings are loose and allow excessive blow-by (depending on the vehicle) it would be best for the oil if the tank were treated and run out just before an oil change. That way if anything does get into the oil, it will be drained away putting the fresh oil under less stress.